Foreword by Donald Trump Jr. 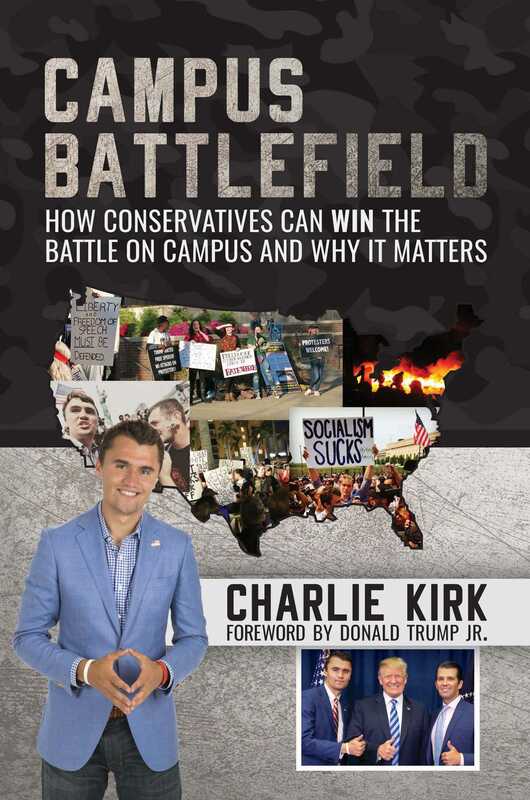 The Campus Battlefield takes that fight to our nation’s college campuses, where the left’s decades-long campaign to transform our universities into radical re-education camps is working, and now we are seeing the disastrous results. Free speech, intellectually rigorous debate, and the simple concepts of tolerance and fairness are routinely being corrupted and weaponized to promote radical leftist ideologies, enforce groupthink, and marginalize or eliminate any student, professor, and dean who gets in their way. All the while, these hothouses of close-mindedness are staffed by blame-America, anti-free market, victimology professors who are twisting the minds of tomorrow’s leaders.